The only way to live to the fullest is to appreciate every moment in the present. Never regret the past, never doubt a decision in momentum, and seize every opportunity as they present themselves for your future. We are all here to learn how to rise above triviality and self-inflicted suffering. Order is a means to achieve a balance. Obviously, I’m feeling inspired after a day-long Buddhist retreat this past weekend where I basked in the glow of 2 hours of silent meditation! In writing this post I realize that cooking is my own means of meditation. 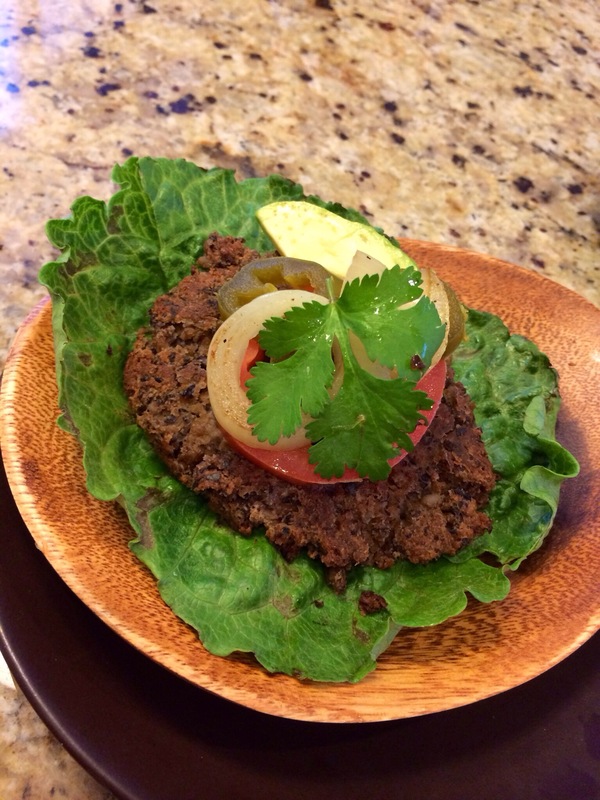 And so today I share a truly simple recipe for Soyrizo Burgers that can be made in large batches and frozen. I used an egg to help them stick together but you can easily substitute 1 tablespoon of flax seed oil and 3 tablespoons of water. For the photo I actually used Upton’s soyrizo seitan which did not stick together as well as the other brands. Pulse all ingredients in a food processor until beans are small pieces. Do NOT purée unless you like to eat baby food! Form 3″ patties about 1/2″ thick. Pan fry in a small amount of vegetable oil about 3 minutes per side. Serve on a whole grain bun with plenty of avocado or fresh guacamole. I’ve never heard of soyrizo. Is it a tofu or temph product? Yes! Soy-chorizo is actually found in most grocery stores now in the refrigerated produce section next to chorizo. It is a seiten based tangy/spicy ground “beef” that comes in a sausage-casing.It works great in tomato sauces too. Trader Joe’s has the best version! I will look for it. Thanks for putting it on my radar.